The Village Saint Paul is a block of medieval buildings in the historic Marais neighbourhood in Paris, sandwiched between Rue Saint-Paul and Rue des Jardin Saint-Paul. It is a lovely tranquil space to while away a lazy weekend afternoon if you are in the vicinity, rummaging through antique and second hand stalls. 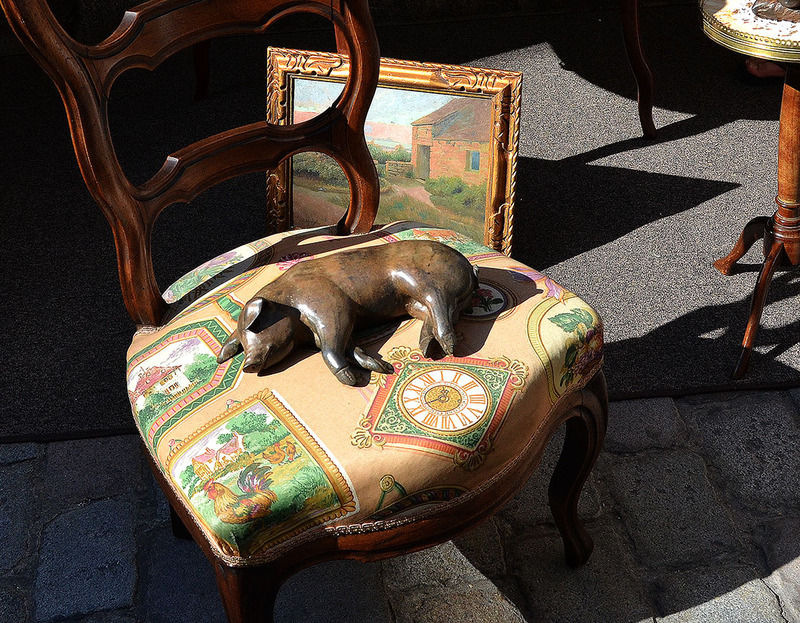 The weekly Brocante held in a series of connected courtyards, was a bit of an anti climax, but I did come upon a few gems, like this delightful sleeping beauty and the antique pull out toilet (above) that I wouldn’t have minded carting home. Is wonderful that pig! I think the touch must be very special!